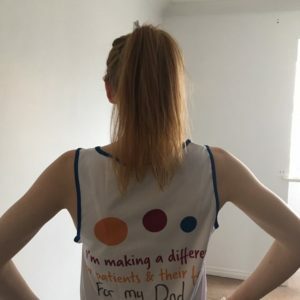 Our fundraisers get up to all sorts to raise funds to help us do more for patients and their families, and all of their support makes a huge difference. 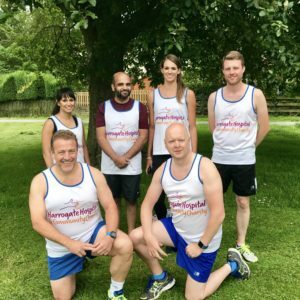 Following their successful fundraising in 2016, when they tackled the Yorkshire Warrior, and smashed their target to raise £5,000 for specialist equipment for our Paediatric Outpatients department; the dynamic team at Synergy Automotive, a leading vehicle leasing and finance brokers based in Harrogate, are stepping up to the plate again. Not ones for taking it easy, they are now embarking on their next challenge! 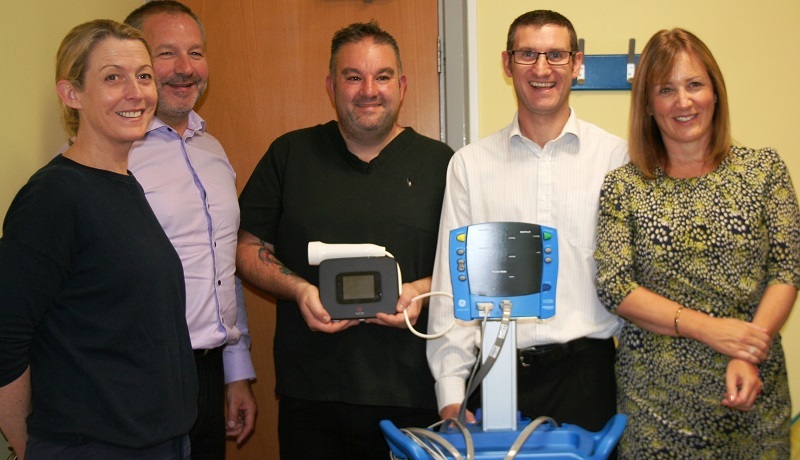 They have pledged to support the Woodlands children’s ward at Harrogate District Hospital, by raising funds to purchase state of the art pulse-oximeters. The staff on the ward have been trialling the Masimo Rad 97 monitors, and say that the accuracy they provide could make the difference between a child being able to go home or remaining on the ward. To get them on their way, one group from the company have already signed up to our Yorkshire Three Peaks Challenge on 30 June. The challenge is to walk the 24.5 mile circular route, taking in Yorkshire’s three highest peaks, Pen-y-ghent, Ingleborough and Whernside, all within 12 hours. With more than 1,600 metres of ascent and descent, it’s a challenge that certainly leaves you with sense of achievement, and the team will utilise their great team spirit to help each other get round. Others from Synergy Automotive will be joining our team at Total Warrior; a 10 mile run interspersed with 30 challenging obstacles complete with mud and ice taking place on 23 and 24 June. To finish off and hopefully with their target already beaten, they will be joining 26 other teams at our ‘It’s a Knockout’ event at Ripley Castle on Sunday 30 September. Based on the original TV show from the 70s and 80s, this event is proving very popular with teams selling out fast, each wanting to pit their wits and enjoy a fantastic family day. Thank you so much to all at Synergy for your amazing support! Pioneering equipment to boost the quality of life for thousands of child asthma patients has been installed at Harrogate District Hospital following a Synergy fundraising drive. Synergy Automotive has been working with The Rainbow Fund, one of Harrogate Hospital and Community Charity’s key partners in the refurbishment of the Paediatric Outpatients department at Harrogate District Hospital. Synergy’s fantastic fundraising has provided the funds to the Paediatric Outpatients Department to allow us to purchase two valuable pieces of equipment. They comprise a blood pressure machine and a ground-breaking exhaled nitrous oxide machine which measures levels of inflammation of the airways in asthmatic children and determines treatment plans which can be life-changing for patients. The department is the only one of its kind in the country to take stock of this equipment. 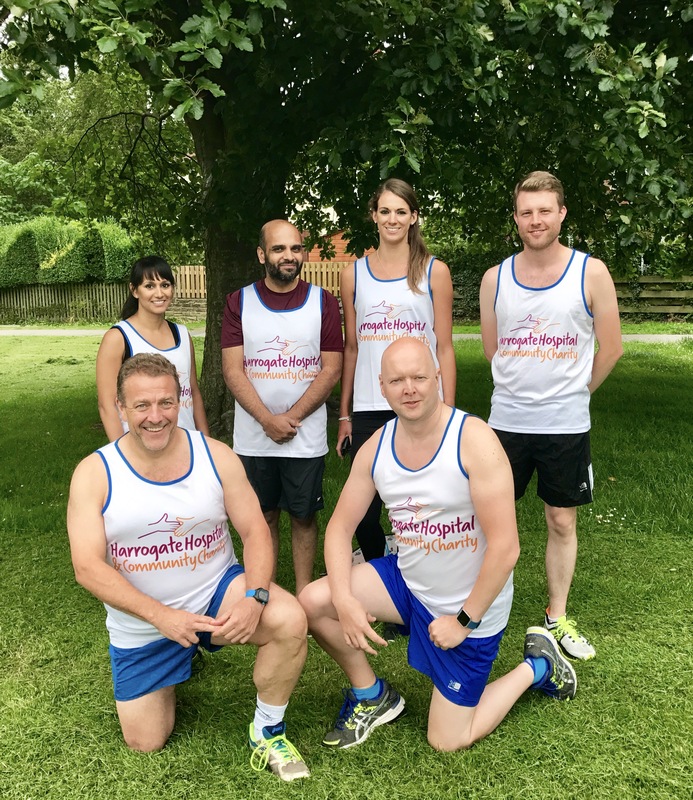 Since becoming the Rainbow Fund’s exclusive corporate partner last year, Harrogate-based Synergy, a leading vehicle leasing and finance credit broker, smashed its £5k fundraising target four months early after spearheading a vibrant campaign which included a 10km ‘mudstacle’ challenge. Sal Katib, Paediatric Asthma Specialist Nurse and Manager at Harrogate District Hospital’s Paediatric Outpatients Department, said: “Every piece of equipment is vital and the revolutionary exhaled nitrous oxide machine will boost the quality of life for many thousands of children over its lifespan – enabling them to lead more active and fulfilling lives. 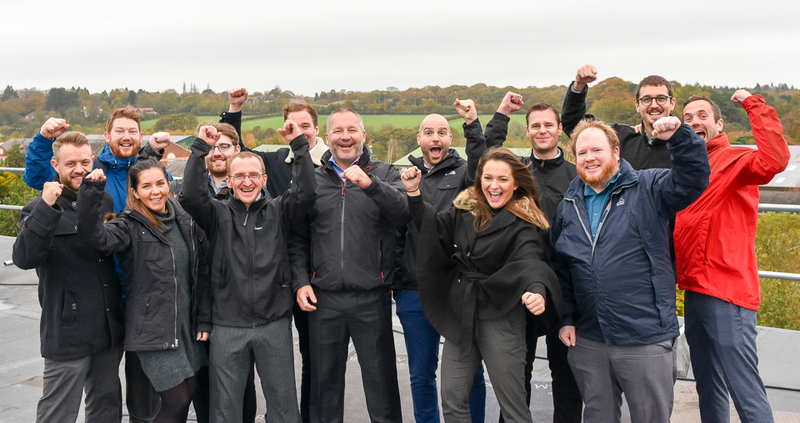 Synergy’s 27-strong team is marking a formative 12 months. Milestones include achieving the Gold Trusted Service Award from global independent feedback engine, Feefo, for the third consecutive year for excellence in customer experience. The business has also boosted staffing levels by 23 per cent and appointed two additional directors – bringing the board to six strong. Thank you to Nichola Wood completed the Manchester Half Marathon and raised over £500 for the Sir Robert Ogden Macmillan Cancer Centre. 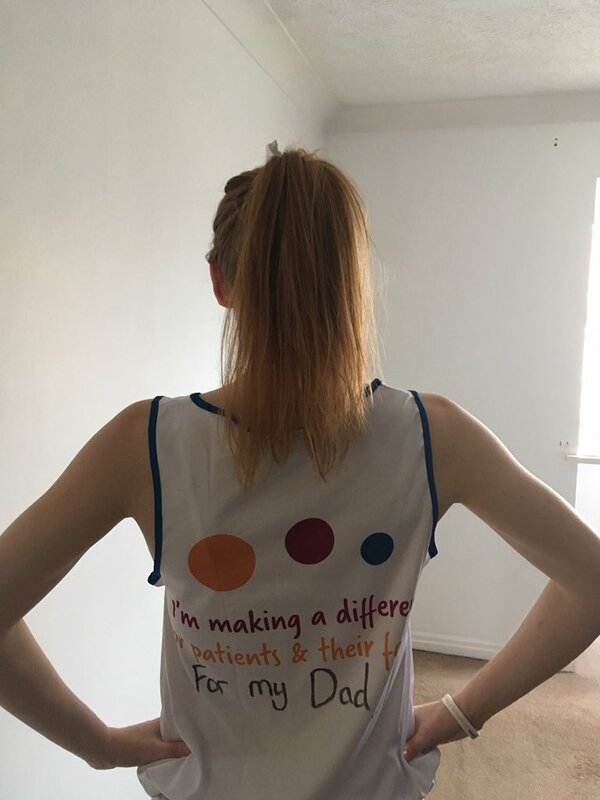 Nichola did the run in memory of her Dad, David, to thank the staff who cared for him at the centre and to ensure that Harrogate and District NHS Foundation Trust is able to continue to give the care to patients and their families as her parents received. Thank you for your amazing support and well done on such a great achievement! 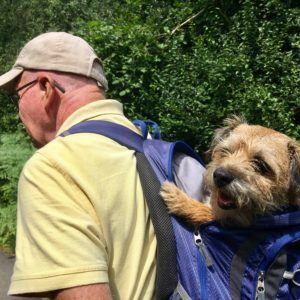 Leroy, the Knaresborough Riverside Café Dog, and his friend Ian Walker completed the Coast to Coast Walk at the start of September, raising over £4,000 for the Sir Robert Ogden Centre (SROMC) and Macmillan. Leroy, completed the challenge over 16 days and was joined by Ian Walker, Karl O’Connor and John Molloy with other friends and family joining for some of the days on the way. 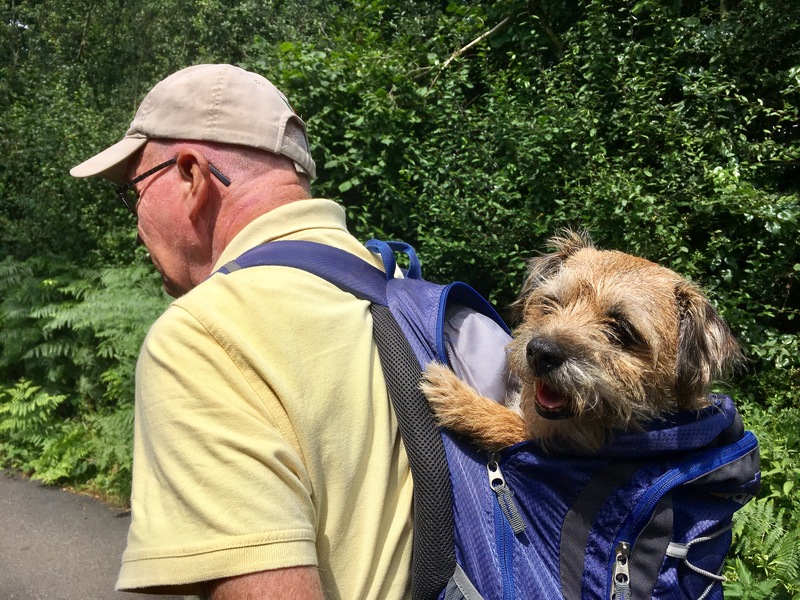 The idea for their epic charity adventure came after Ian discovered he had bladder cancer. Fortunately, the diagnosis and subsequent operation were swift and successful but Ian wanted to do something for other cancer sufferers. Ian said: “My care throughout was first class from my doctor to the consultants who saw me and operated, the hospital staff and, finally the nurses at the Sir Robert Ogden Centre,not forgetting the MacMillan Nurse who I saw after the shock of my initial diagnosis. The Riverside Café also baked special Leroy shaped biscuits with all proceeds from their sales going to the fundraising target! 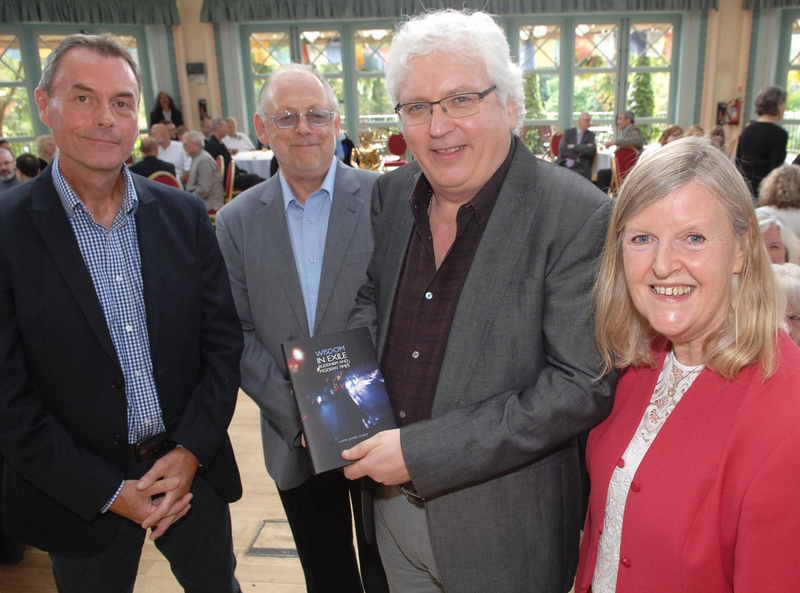 Following the walk, the café also hosted a fundraising night, raising well over £1,000 to add to the pot. From one man’s idea to do a walk and give a bit back to show appreciation to those who cared for him; a whole community of people including friends, family and customers of the café got involved and made sure that Ian raised as much as possible from his efforts. Thank you to Leroy, Ian and all that got involved, especially Phil and Tim from the Riverside Café! On Sunday 10 September 2017, Lama Jampa, and members of the Harrogate Dechen Kagyu Buddhist Centre represented a cheque to Harrogate Hospital and Community Charity for £1,000. 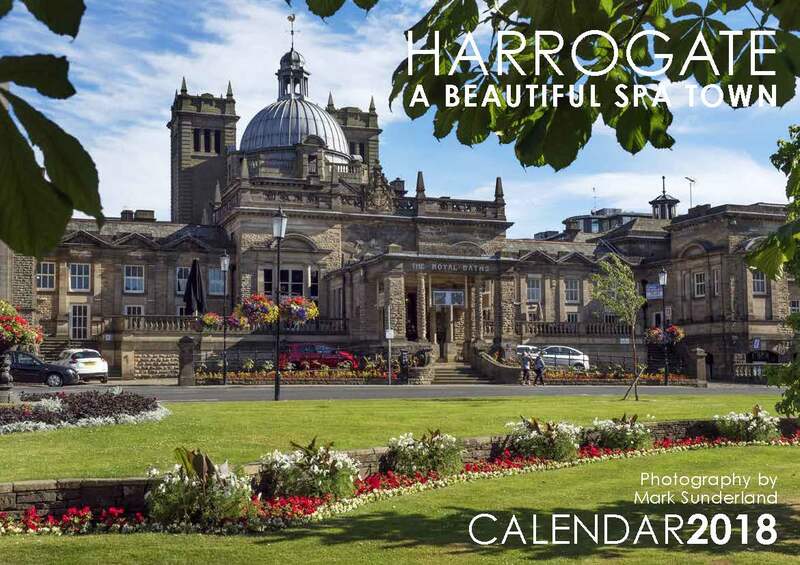 The group had been holding a raffle to raise funds toward providing a reminiscence Day Room for the Jervaulx and Byland Wards in Harrogate District Hospital. The new dementia friendly space will provide a comforting and stimulating environment, helping to improve recognition, memory prompting and improve interaction. Thank you so much to Penny Ward, and all who took part in the raffle, for your fantastic support. Ophthalmology Hooking Ducks at the Big Picnic! 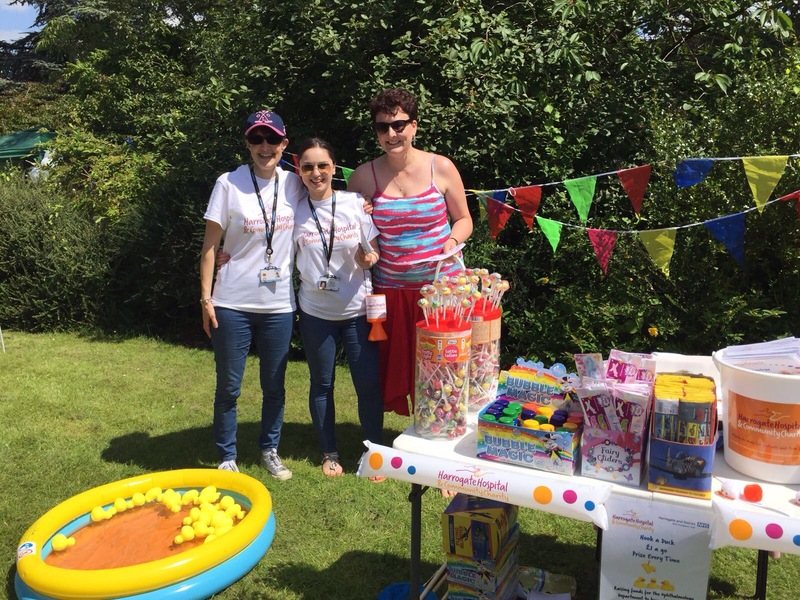 Our Ophthalmology department held a fantastic Hook a Duck stall at the Friends of Harrogate Hospital and Community Charity’s Big Picnic event on Sunday 9 July. 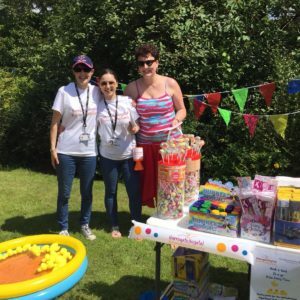 The team are raising money for a new RetCam 3 digital imaging system which helps to diagnose paediatric ocular diseases to preserve the vision in premature babies. Our fantastic team from the Pathology Unit here at Harrogate District Hospital took part in the Harrogate 10K on 2 July 2017, raising over £370 to help us to make a difference to the patients and staff at HDFT. Thank you to all who took part and well done for your amazing efforts! On 24 June 2017, 43 doctors, nurses, healthcare assistants, physios, dietitians and pharmacists will take part in The Total Warrior challenge. They all work together within Harrogate District Hospital’s Intensive Care Unit and are aiming to raise funds for the unit. The training has now commenced for this tough challenge involving mud, ice, sweat and tears! We wish them the best of luck! Check out their JustGiving page to see how you can support them. 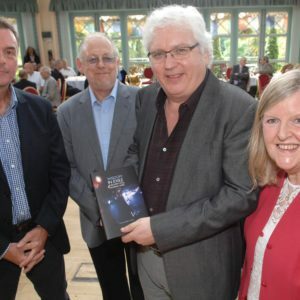 The black tie event gets underway at 7pm with “carriages” at 1am. Once again, they are supporting two causes; our Sir Robert Ogden Macmillan Centre at Harrogate District Hospital and Macmillan Cancer Support. The evening includes a welcome drink, a three-course dinner and wine. There will also be an auction and raffle prizes on the night. This year’s entertainment for the Ball comes from Amethyst Magic and Ticket 415. Many will know Ticket 415 from the ball last year, they are one of the UK’s hottest function bands knocking out hits from the Rolling Stones to Rihanna. Amethyst Magic is new for 2017 and will bring their incredible illusion and magic act to the evening.